The Recreation’s Economic Contributions (REC) Act will require the government to officially measure the impact of outdoor recreation on the U.S. economy, as it does in other sectors like pharmaceuticals, oil and gas, and healthcare. This bill is a big deal for these reasons; it officially recognizes outdoor recreation as an important sector of the economy and two, it will give us better information about the economic impact of outdoor activities compared to other sectors, which is invaluable for helping elected officials make better informed policy decisions. When U.S. Senator Ron Wyden of Oregon took to the road to hear what Oregonians valued, he heard loud and clear that the recreation economy was a critical component of the state’s identity and economy. Cycling, including mountain biking, rose to the top. IMBA, via our partnership with the Outdoor Alliance, worked hard to help Sen. Wyden understand what he could do to further this goal of improving recreational access and opportunities. This led directly to shaping key components of S.2706 – the Recreation Not Red-Tape Act. IMBA supports National Recreation Areas (NRAs) as bike friendly land protection measures. We believe that an expansion of NRAs could further benefit mountain biking in the right places and would strike a fair balance between land protection and outdoor recreation. This bill, if passed, will achieve this by creating a “system” of bike and recreation friendly NRAs similar to the Bureau of Land Management’s National Conservation Areas (NCAs) yet more focused on recreation. This is a huge policy win opportunity that IMBA is working hard to advance in 2017. Key Advocacy Takeaways: As we say in mountain biking, “look where you want to go”. Or as Canada’s most famous philosopher (Bobby Orr) would declare: “I always skate to where I think the puck will be.” IMBA is always keeping our eyes on the access prize while we work across the country with chapters and members in order to advance our mission. 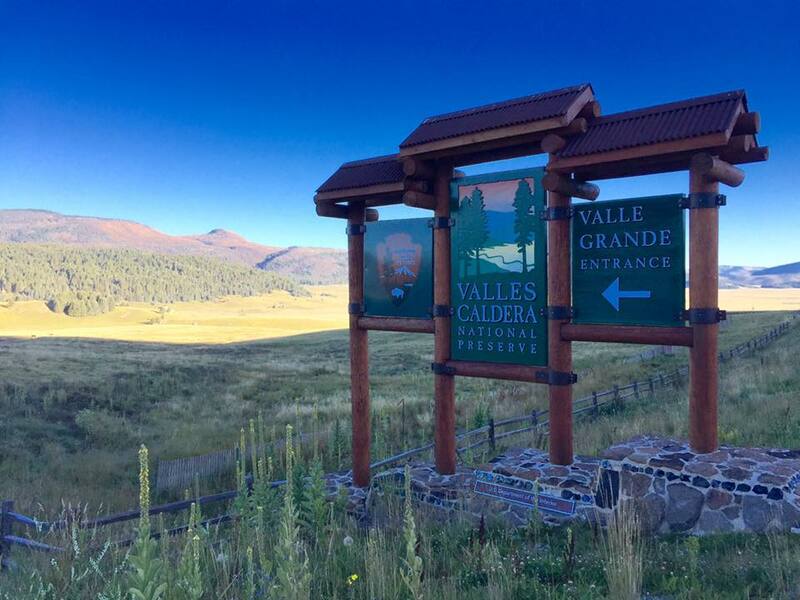 Working with IMBA chapters and members, and national coalition partners – including The Wilderness Society – successfully secured a three-year extension and fought hard for permanent reauthorization. LWCF funds are used in states and municipalities to support outdoor recreation, including MTB trails. THANK YOU to all for the amazing effort that you’ve put in over the past year in support of our common goals. 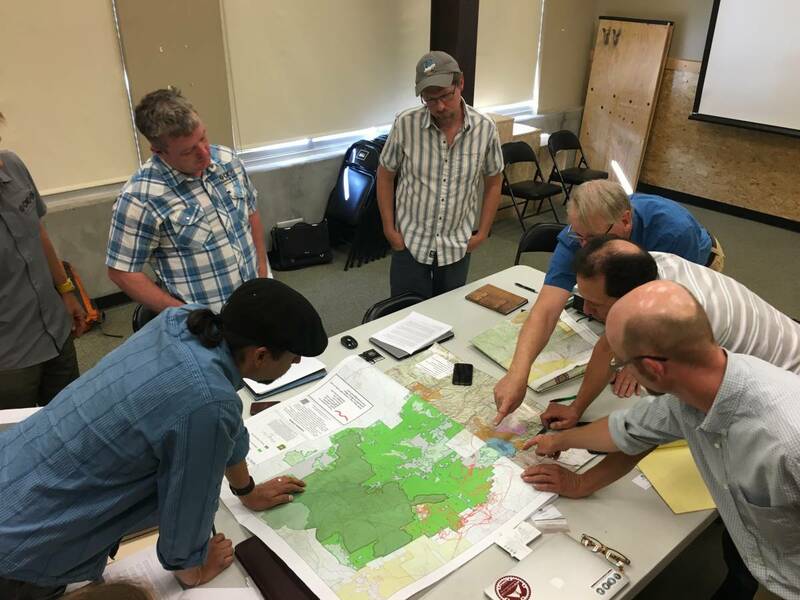 IMBA worked with local chapters Northwest Trails Alliance and Hood River Trail Stewards, as well as other local mountain bikers, to represent their trail access interests with Oregon Wild and Congressman Earl Blumenauer. Our collective work helped prevent legislation with adverse impacts to trail access from being introduced in Congress. This effort activated, unified, and strengthened our local advocacy involvement with local mountain bikers. In a process that began in 2015, IMBA’s Atlantic Region Director took quick action with our local chapters Northern Allegheny Mountain Bike Association and Western New York Mountain Bike Association to show support to USFS staff on a trail development proposal that was being opposed in July 2016 by some special interests who were against mountain bike access on the Tracy Ridge landscape. Our team organized a multifaceted plan, executed it with local involvement, and succeeded in keep the trail development plan on track. 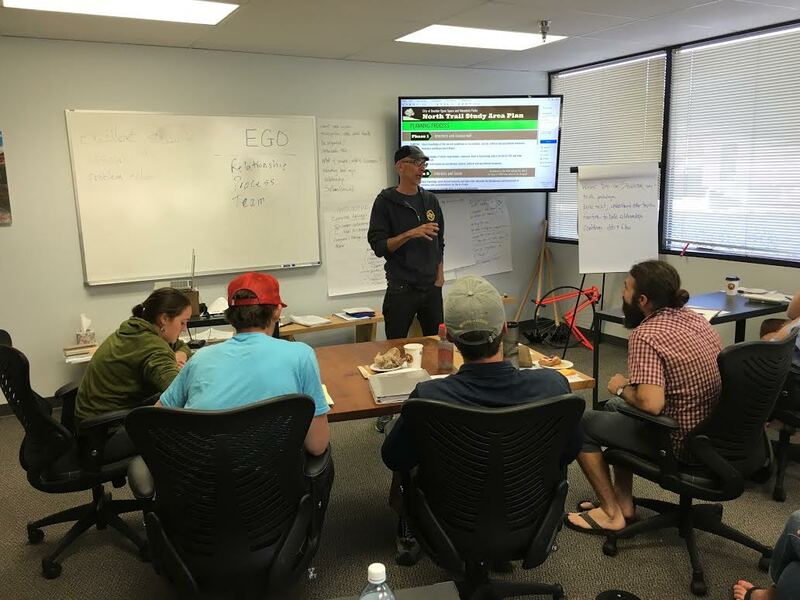 Training sessions were conducted in Bentonville, AR during the 2016 World Summit; Santa Fe, NM; Missoula, MT; Mammoth Lakes, CA and Boulder, CO. In the last twelve months, IMBA’s Government Relations team has worked closely with our Region Directors and Chapters in California, Montana and New Mexico to host tailored agency planning, advocacy and negotiation training seminars. We then hosted larger multi-day/multi-session Chapter Leader training in Boulder, CO and in Bentonville, AR for the 2016 World Summit. Key Advocacy Takeaways: The best advocates are savvy navigators of the planning process and experts in the business of relationships. Get involved early and often. Mountain bikers absolutely need allies and partners in coalitions; we’re better able to accomplish worthy achievements by working in partnerships and becoming experts in the process; perseverance over multiple years is required for success in legislative campaigns, especially in Congress. In late 2016, after years of effort, the National Forest System Trails Stewardship Act (H.R.845) passed Congress and was signed into law. IMBA was long involved in shaping this legislation with partners in the equestrian and conservation communities to help address the vast trail maintenance backlog on our national forests and streamline opportunities for volunteer stewardship. Overall we collectively helped amass so much support via a national advocacy effort to reach out to our members and chapters that the bill became the most bipartisan and most co-sponsored bill in Congress. Much credit goes to our partners in leading this effort to success and to our chapters in the Midwest, Southwest and California for stepping up at critical times to secure key co-sponsors in Congress. 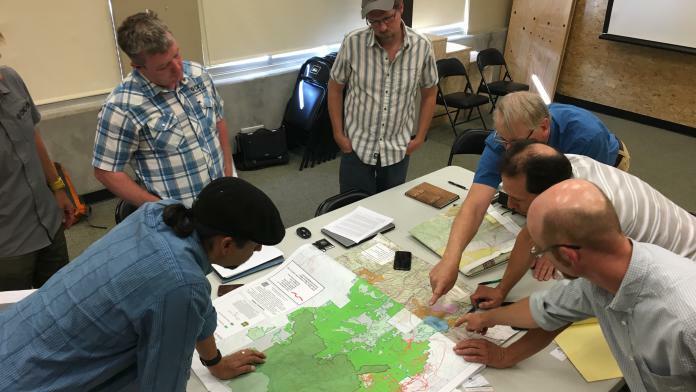 Reauthorized to permit IMBA chapters and members to continue to work cooperatively on trail stewardship projects on public lands. Key Advocacy Takeaways: Stewardship of our natural resources is not only critical and necessary in keeping trails in enjoyable and sustainable condition, but IMBA’s commitment to steward–through our chapters and members –is the backbone of our on-the-ground organization and the essence of the mountain bike community. This “sweat equity” keeps trails in good riding condition and environmental impacts to a minimum, but it’s also extremely important in leveraging the mountain bike community’s overall worth and value to land managers and government elected officials who see mountain bikers more favorably and “walking the talk” of delivering solutions to problems. Git yer A S S to Marin and help open some Singletrack ya slackers. Gordo, sorry to say it, but since IMBA rolls over and plays dead dead every time the Sierra Club commands it, there’s little chance of you gaining access to anything that has previously been lost. IMBA patting itself on the back, sounds so corporate. No mention of trying to work with the STC ? IMBA still relegating mountain bikers to the back of the bus as far as WIlderness goes, their double talk has got me to not care about their weak advocacy for backcountry. I’d like to hear about miles of high alpine singletrack opened up for a change.